A nourishing skin cleansing mask - is it a fairytale or reality? Maybe avocado and oatmeal should stay on your table, rather than be a part of your facial mask? Clay masks are the most frequent guests on my cosmetic shelf, thousands of them passed through my hands, but only a few left positive memories of themselves, or even any memories at all. Not so long ago, I bought three masks from Freeman, and today I’m gonna tell you about one of them: Freeman Avocado & Oatmeal Facial Clay Mask. Like other masks, it’s packaged in a sachet. I chose the masks that would suit my skin type. Usually, I mix DIY clay masks, but I was getting lazy and started buying ready-made ones, so I bought this mask with avocado and oatmeal along with the mint-lemon mask, although I try to avoid the so-called nutritious ingredients in my skin care routine. It has a pretty design in green tones, with a delicious avocado print on it, even in my mini-version. 15 ml is enough for 3 or 4 applications, which means it is enough to get the idea of the product. The mask seems to be cleansing, but at the same time, it contains nutritious ingredients like avocado. The manufacturer promises the mask would clean up clogged pores, remove black spots, improve blood circulation and help to restore the water-lipid balance. Generously, I’ll give them that. And all this is for less than 2 dollars! Is it not it a miracle? 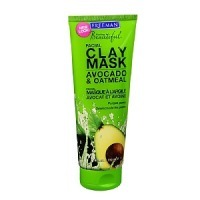 The facial mask has a dense consistency; thick, homogeneous, creamy formula - I’ve noticed no particles of oatmeal. The smell is pleasant, unobtrusive, a bit chemical, but it’s not overwhelming so I’m okay with that. Due to its density, it’s pretty hard to apply and smear it over your face (plus the packaging itself is pretty inconvenient). It’s better to apply it onto damp skin. After applying, visually it looks like an ordinary clay mask - it does not flow, and gradually dries. It takes about 10 minute to dry, tightening your skin. A thin layer can easily crumble like ancient plaster, while a dense layer will firmly hold your face, preventing any expression of emotion. In general, it works like a regular homemade mask. I wash it off with a sponge, it’s hard to do it with your hands only. There is no exfoliating effect. And in general, the effect is unimpressive: the skin is matte, visually and tactilely pleasing, but the enlarged pores and blackheads are still there - neither cleaned nor lightened or narrowed, although clay had always given my skin a tightening effect. But not in this case. In my opinion, the mask will suit those with normal skin, but if you have oily or problematic skin, it won’t be of help. I can recommend it, but it doesn’t deserve more than 3 stars. After all those positive reviews, I thought it would be much more effective. A budget-friendly find for lazy people. 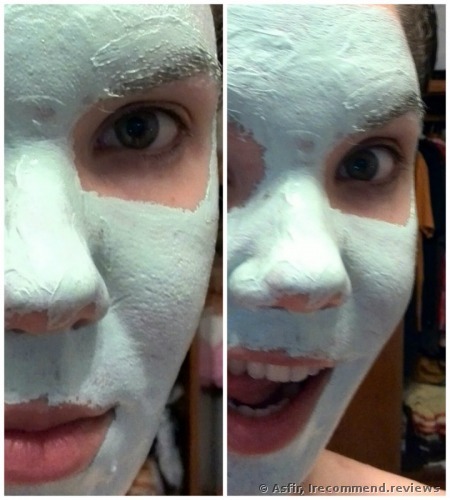 What can we expect from Freeman Feeling Beautiful Facial Clay Mask? Greetings! This review is devoted to another budget-friendly find of mine.Shall we begin? Product details The mask is designed for normal and combination skin. It can be a little bit drying, so alas it won’t suit those with dry skin. Hello everyone! A wonderful product is on the agenda today, namely the Freeman Facial Clay Mask Avocado & Oatmeal. Easy said, but hard to believe. I do not trust such cheap products for some reason. Charcoal absorbs and sugar removes dead skin, what else could a girl dream of? Freeman Feeling Beautiful Facial Polishing Mask, Charcoal & Black Sugar is a nice product! Detailed review, ingredients plus After photos. LET’S GET BUBBLED! The most UNUSUAL Korean mask I’ve ever tried. But why don’t you bloody work, huh?! BEFORE/AFTER shots.